When the bill becomes law, the state’s horse racing tracks and casinos will be able to open sports books. It would be surprising if any of them didn’t. New Jersey has been trying to get this done for years and the gaming venues are jonesing for it. Competition from neighboring states has been fierce, so anything that can be done to attract visitors is welcomed. Plus, sports betting is expected to bring in lots of dosh. So champagne corks were popped across New Jersey when the legislature passed the twin bills unanimously this week, right? Well, perhaps not in the case of the Golden Nugget. The Atlantic City casino found out that while everybody else would get to reap the rewards, it was going to have to sit on the sideline. The bill banned owners of sports teams from being able to take bets on sports. 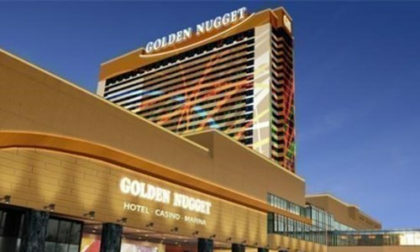 The Golden Nugget is owned by Tilman Fertitta, who acquired the NBA’s Houston Rockets last year. Thus, the Golden Nugget, as the bill was written, would not be able to have a sports book. Other casinos escaped a similar fate. MGM, which owns the Borgata, also owns the Las Vegas Aces of the WNBA (the company purchased the San Antonio Stars last year, moving the team to Las Vegas and renaming it). At first glance, this would seem to keep the Borgata out of the sports betting fun, but because the team contributes less than one percent of MGM’s revenue, MGM can still offer sports betting. Caesars – which owns Harrah’s, Caesars Atlantic City, and Bally’s Atlantic City – may have gulped once, too. Joshua Harris, the owner of the NBA’s Philadelphia 76ers and the NHL’s New Jersey Devils, is the co-founder and managing director of Apollo Global Management, which owns part of Caesars Entertainment. But because Apollo owns less than ten percent of Caesars, Caesars is in the clear, as well. So while it’s not a perfect solution for the Golden Nugget, the casino will be able to open a sports book, but it will not be allowed to take wagers on NBA basketball. Another silver lining: the NBA season literally ended as I am writing this, so at least the Golden Nugget won’t have to lament missing out on revenue until the fall. Football is going to be the cash cow, anyway. 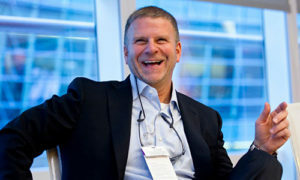 Had the clause not been added to the bill, Fertitta would have had to sell the Rockets within a year for the Golden Nugget to be permitted to take bets on sports. There’s almost no way he would have done that, as he grew up in the Houston area, is a huge Houston sports fan, and it was basically his dream to own the team. It is also possible that the Hard Rock Atlantic City will have some limitations put on its sports book, as Hard Rock International won the naming rights to the Miami Dolphins’ stadium in 2016. There is no word on what those limitations might be, though if I had to guess, it would top out at the Hard Rock not being allowed to accept wagers on Dolphins games. To keep the Hard Rock out of all NFL betting would be incredibly restrictive just for having its name on a stadium.